Easy to use; carefree travel with the OV between the Voorne Putten region. Travel back and forth with Conexxion buses. Blow away the cobwebs in Zeeland; discover the panoramic beaches, fabulous expansive nature reserves and picturesque villages in South-West Netherlands with public transport. 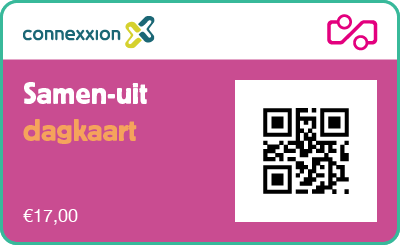 The Connexxion retour ticket allows you unlimited transfer between different buses throughout the day, without having to but a new ticket each time. Take it easy. The only thing you need to do is buy a ticket, lean back and relax! Travelling outside Zeeland? Then the Tourist Day Ticket at € 14.50 is probably cheaper.